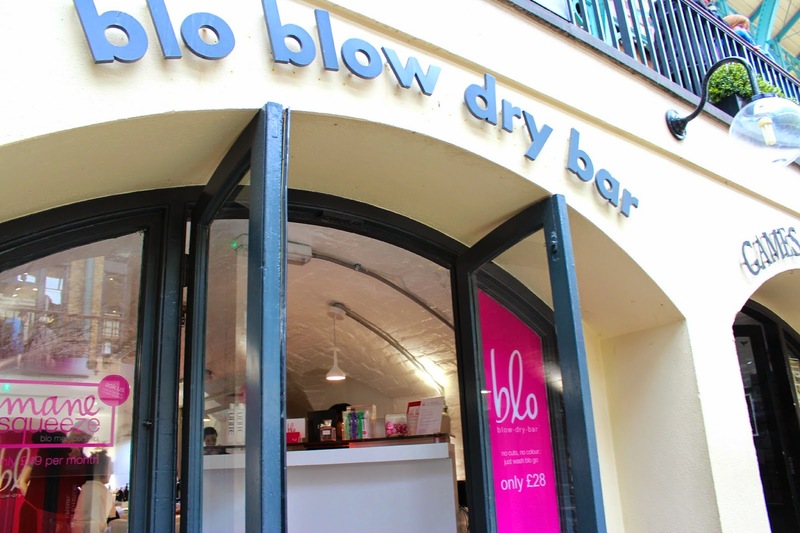 So last Friday I was invited in to the 'Blo' blow dry bar in Covent Garden, and it was fabulous. You've probably seen me hyping a LOT about over my social channels, so tonight I'm going to tell you what the fuss is all about! Blo originally opened in Vancouver, which lead to spreading around the states, and this is the first one to open in the whole of Europe! Woohoo for Covent Garden. Prices start from £28 for a blow dry. 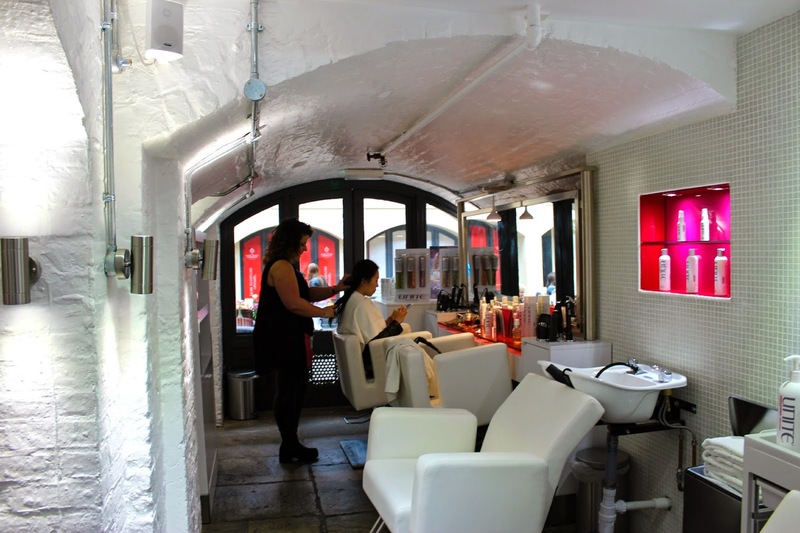 I've never thought of going to a salon just for a blow dry- but this place is perfect for it. 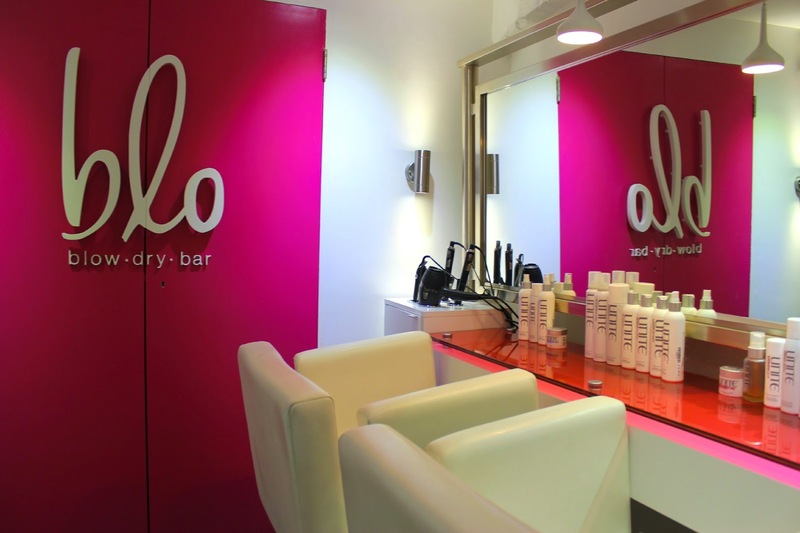 It's a in & out blo dry bar, consisting of two rooms - one bar for washing, & the other to complete the perfect blo dry. Fabulous right? I had a shoot that afternoon at TRACE Publicity the hair do came in perfect timing earlier that morning. Although I was running 5 minutes late, the ladies were ever so welcoming. My stress about being a little late died down straight away. I was shown to my seat by the lovely receptionist, who offered me a drink straight away, as well as the hair menu. Hair menu I hear you say? Yes. Incredible idea. 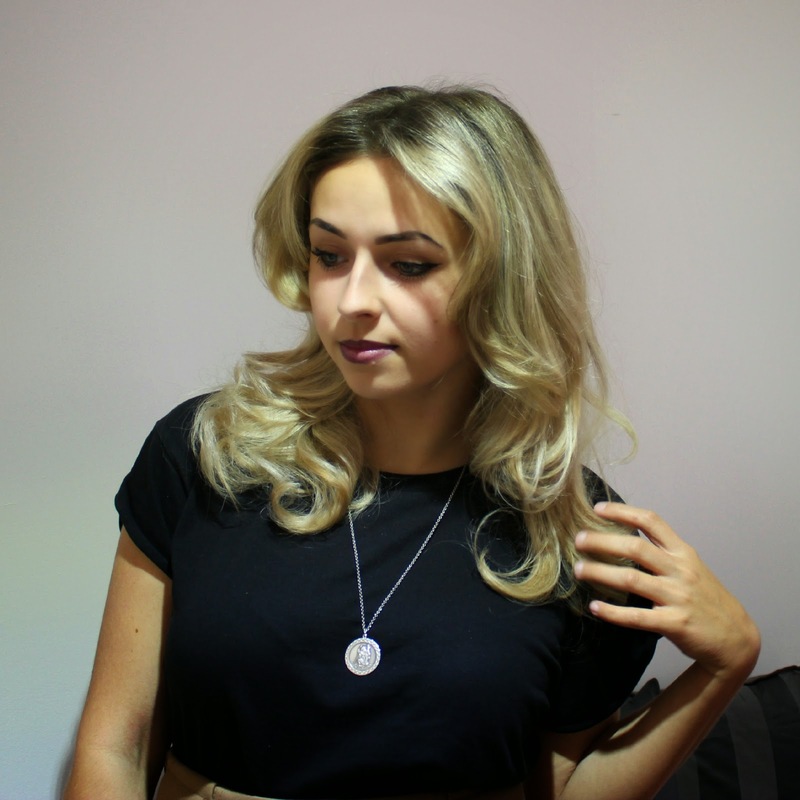 It's always hard describing how you want your hair to look to the stylist so this menu came in super handy with hairstyles ranging from a straight blow dry to beach waves, and even a red carpet hair do (even up do's & fish tail plaits are available!) I wanted volume, I wanted my ends to be flicked and curled and just smothered in hair loving hands. 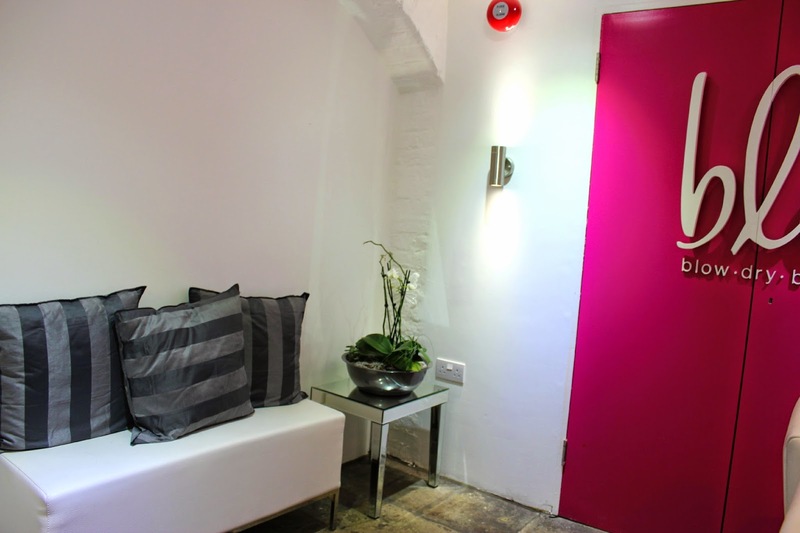 The interior is beautiful- white brick walls with various pops of pinks darted around the salon. The chairs, AH. 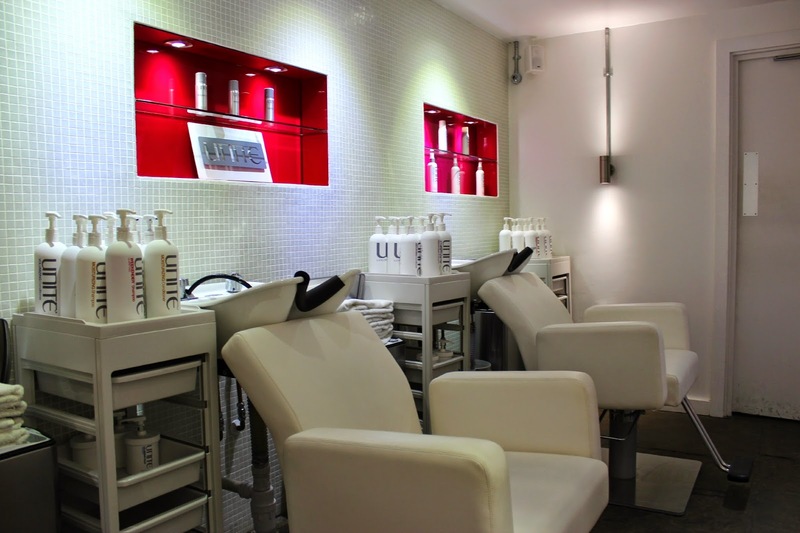 They have modern white chairs to lounge in whilst you're sitting and relaxing to get your hair done (like, ultra modern). I just couldn't stop looking around at the salon. It's so sleek. I adored the fabulous logo font, I love the simplicity. Ana (my lovely hair stylist) came over and introduced herself whilst I was still indulging in to the hair menu. She talked me through my hair and what I wanted achieved from my appointment. I loved hearing Ana speak with such enthusiasm about my hair, her opinion really mattered to me about what she believed what style I would suit. After deciding what style I wanted, (The Red Carpet look) I was taken to the hair wash basins. This is usually my favourite part of going to the salon, and this time round didn't fail me either. It was glorious. Isn't it bizarre that we gain so much enjoyment out of somebody washing our hair for us? Ha. The products that Ana used on my hair smelt so so gorgeous. Ana made sure that I had no allergies, and always asked before using products if that I would be happy with it. After having my hair washed I was left feeling well nourished from root to tip. I was led back to my seat in front of the gorgeous brightly lit mirrors and was told about the next stages of the blow dry. I was again informed of every product that was being used on my hair. 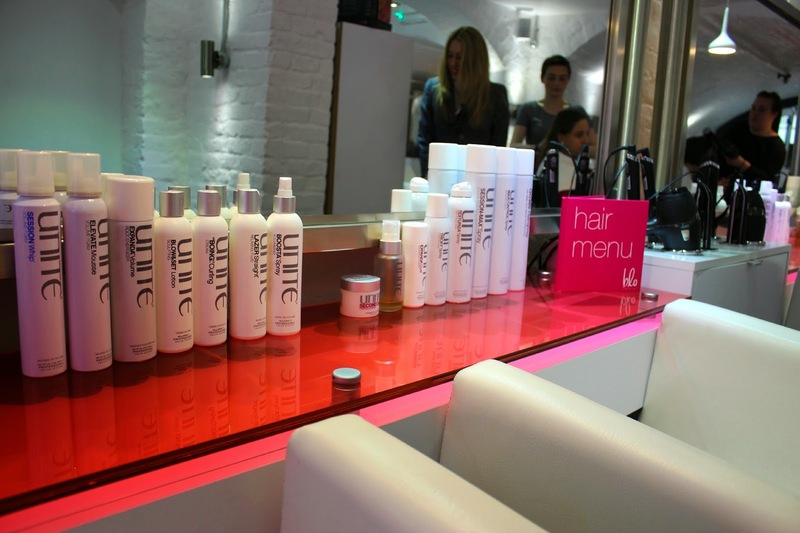 All of the products Blo use are from the brand Unite. Some of the products I had used on my hair were: BOOSTA Volume Spray, BOING Curling Cream, Volume Expanda Foam. The styling devices were all GHD, I particularly enjoyed having my hair dried with the GHD 'Air'. As each of the layers are getting blow dried, I could instantly see a huge difference in the volume - it's like I had triple the amount of hair, and it was only the bottom layer! I couldn't had felt better after my appointment. Getting your hair done is such a fabulous treat. The style totally suited my face shape, and the cut of my hair. I would like to thank Ana, Irina and the rest of the awesome crew who work at Blo. I look forward to my next appointment! I'm already thinking what to have next. 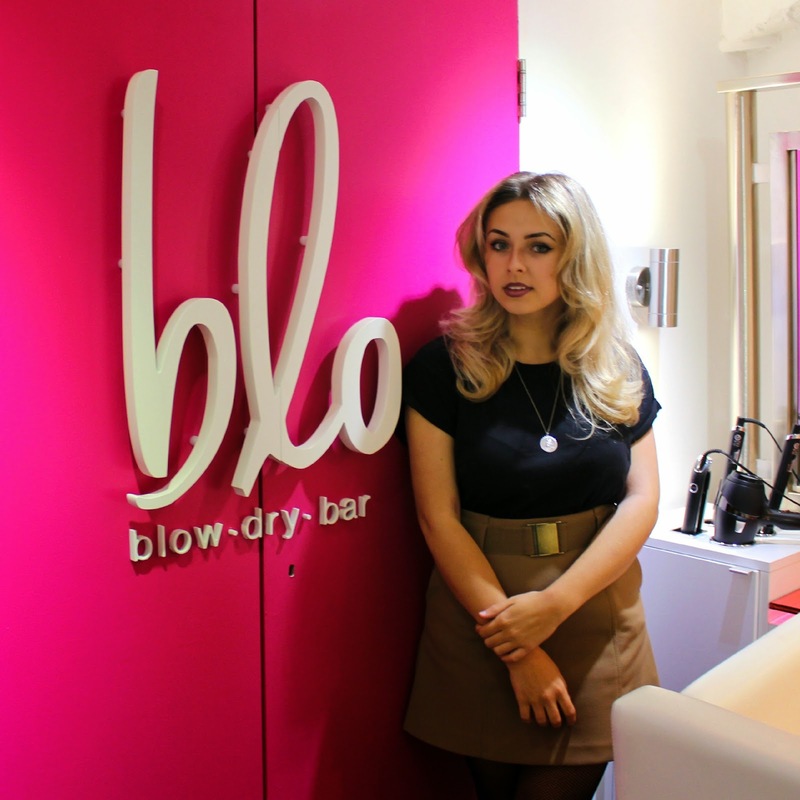 Have any questions about my appointment at Blo? Drop me a comment or email me! Your hair looks incredible. 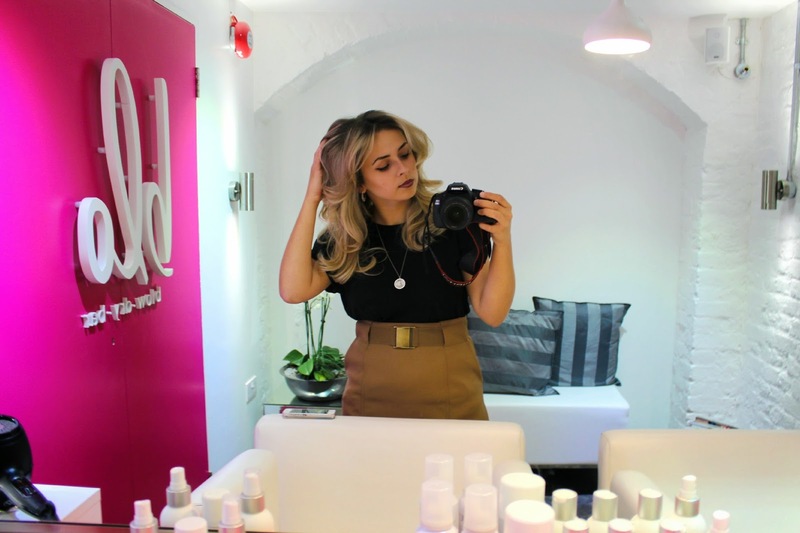 I'm desperate to make an appointment with Blo! It's so close to my work.